“Erin go bragh” means “Ireland Forever” in case you were wondering, and is actually the Anglicizatin of a Gaelic phrase used to express allegiance to Ireland. 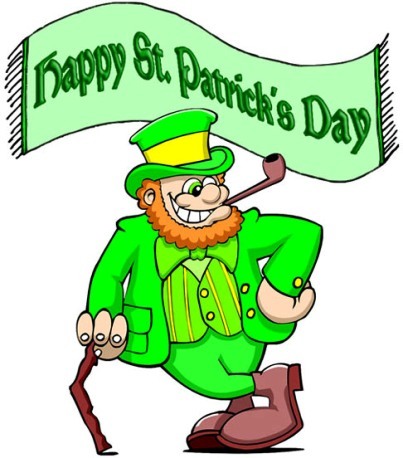 Today is St. Patrick’s Day – the one day of the year when we can all be Irish. In order to be the best Irish person you can, however, you need to know a few things…..
Two Irishmen, Patrick Murphy and Shawn O’Brian grew up together and were lifelong friends. But alas, Patrick developed cancer, and was dying. While on his deathbed, Patrick called to his buddy, Shawn, “O’Brian, come ‘ere. I ‘ave a request for ye.” Shawn walked to his friend’s bedside and kneels. 50 queries in 0.628 seconds.